This beautiful cake is pretty quick and easy to dazzle your family with just a little labor of love. 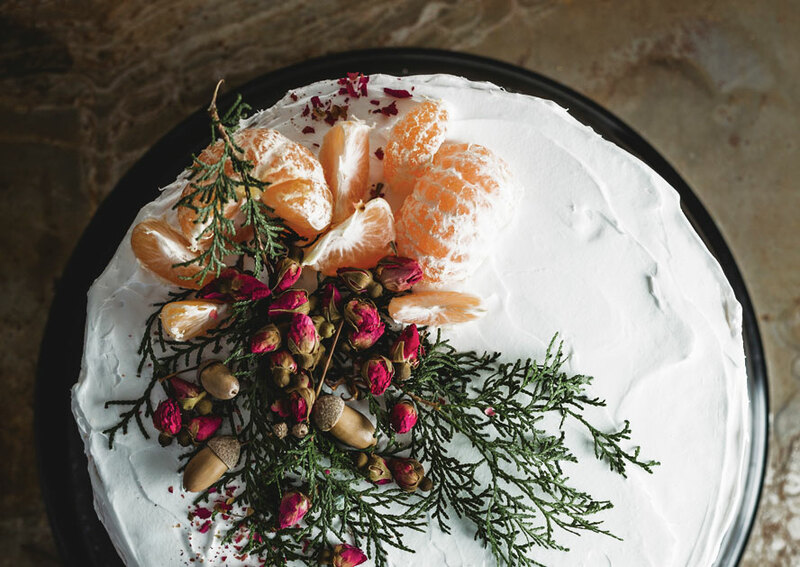 The unique ingredients in this cake are ripe and plentiful at this time of year: clementines! Their juice and zest give a pop of brightness that will delight your palate. Smith's Sour Cream inside the batter makes the cake incredibly moist ... and would you believe there's sour cream in the frosting, too? Dress it up with fancy garnishes for your holiday gatherings or let the kids help decorate it for a weeknight treat! Combine cake mix, pudding mix, Smith's sour cream, vegetable oil, Smith's milk, eggs and the zest and juice of 2 clementines on low speed for 30 seconds. Scrape down the sides of the bowl, then beat on medium speed for 2 minutes. Grease and flour two 9" round cake pans. Divide batter evenly and bake for 350 F for 29-33 minutes. Cool cakes completely on a wire rack. While the cake is baking, combine water, sugar and the juice and zest of 4 clementines in a small sauce pan and heat until sugars is dissolved. Stir together the Smith's sour cream, brown sugar, whipped topping, cinnamon and clementine zest. Cut each cakes evenly into two layers. Place one layer on a platter, brush or drizzle with simple syrup and spread with1/4 of the frosting. Repeat for all layers and garnish as desired.